Baking. Specifically, baking of cakes. 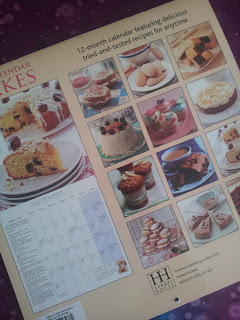 I received this cake calendar for Christmas and I've decided to have a go at making the cake for each month. Then I'll fling a few pictures of the results up here and either brag about my success or blast the recipe for being stupid. No drinking of alcoholic beverages. This statement usually produces reactions of either disbelief, incredulity or admiration. I've been thinking about taking a year off booze for the past few weeks, and while I could have started anytime, it feels neater to cover it over a calendar year. (Plus, it was Christmas!) I have a new little cocktail glass icon on the left menu which will slowly empty as the months pass. Although this is something I really want to achieve, I have a feeling there will be times when a cup of tea won't seem adequate (see potential cake disasters above). Sewing. I feel the need to broaden my sewing range. 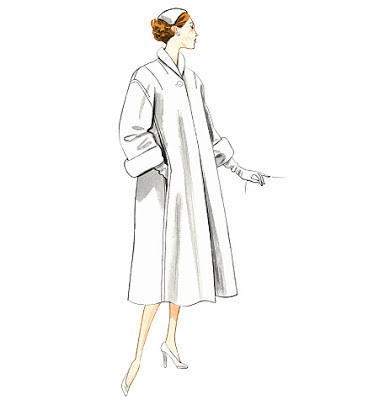 I was very focused on dresses last year, especially over the last couple of months, so I will be making an effort to produce more blouses, skirts, coats, etc. Click each image to go to its source. New Year's doesn't mean much to me. I'm not in the habit of going out for the night just because tomorrow happens to be January. I do like New Year's resolutions though, and I usually make at least one each year. Of course, I could make a promise to myself to do something at any time, but I like making the most of the excuse. And, sometimes I need a reason to do something. All these resolutions will be documented on this blog so by next December I will have a chance to see how I went. Then I'll go out and have a really big Long Island Iced Tea. I'm up late browsing the web as I bring in the new year, of course you already have with Australia ahead of us. Anyway, I'll stop babbling..LOL! Way to go on baking! I do love baking. I always feel giddy at Christmas time when I'm baking for family. Cakes really aren't as hard as these darn recipes make them out to be. So have fun! And with abstaining from alcohol, since I feel like an alcoholic, I always abstain for my own safety. But whatever you choose, and whatever will make you happy is what matters. Here's to a very happy new year!! Happiest New Year's wishes, sweet gal! 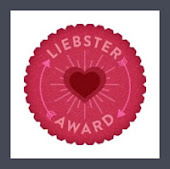 It has been a sincere joy to follow your blog this year and to share in a wonderful stream of back and forth comments. You're a beautiful, creative, inspiring person inside and out, and I can't wait to celebrate 2013 with you online, too. Wishing you a magnificent of year ahead!!! Happy New Years! Baking, yes please! 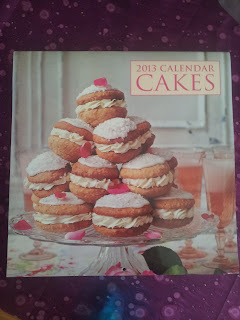 It is going to be absolute torture for you looking at those cakes every day. 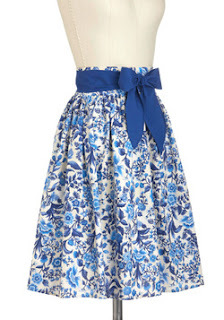 Love that skirt with the bow, I have seen one very similar on etsy that has remained unsold for quite some time, but it is teeny tiny on the waist so I've had to pass it up. Best of luck with your resolutions. I would have a hard time with the no alcohol... especially with cake sitting about.